A free math word search printable with 18 math terms to find, including: decimal, algebra, multiplication, fraction, and addition. Looking for a math-themed activity? 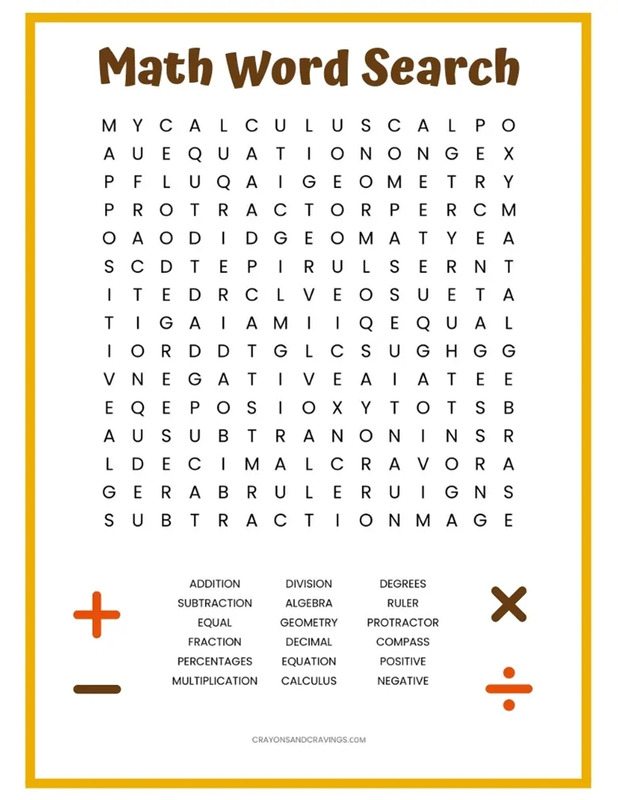 This word find is filled with math terms. It would make a great activity for teachers to hand out in class — especially in a math classroom. With 18 math words to find, it should keep students busy for quite a bit. Get more free word search printables here! The words can be found going horizontally, vertically, or diagonally — but no words will be going backwards. 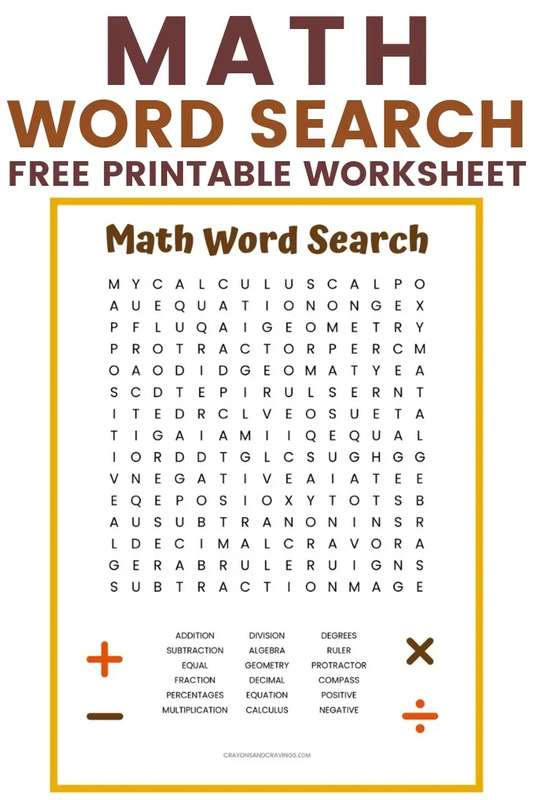 Click the link below to download the math word search PDF. Then, open the file on your computer and print.